Our car is a 1996 BMW 328i. It’s the E36 platform. 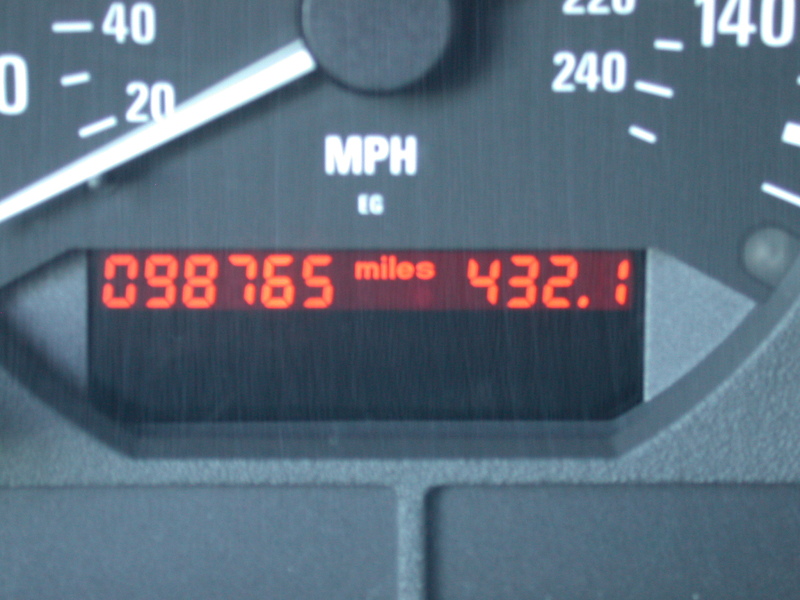 Back on Thanksgiving Day 2008, I realized the odometer would display 98,765 miles within the next few months. To its right is a 4-position trip odometer, and I thought it would be fun to synchronize them so they display a “098765 432.1” sequence. And photograph it when it happened. The sequence happened over the weekend. My wife thinks I’m a bit of a loon.